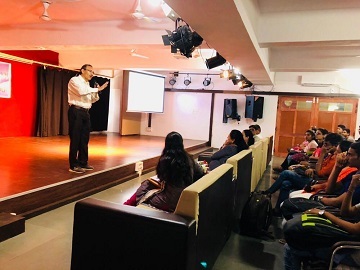 Personality Development session was organised by JGBCA on 21st August 2018 for FYBCA students. The speaker Mr. Firdose Kapadia introduced the subject with basics of inner and outer personality. He then talked about importance of goals and dreams in life.He motivated the students to chase the goal until it is achieved. The session was very interactive and interesting.